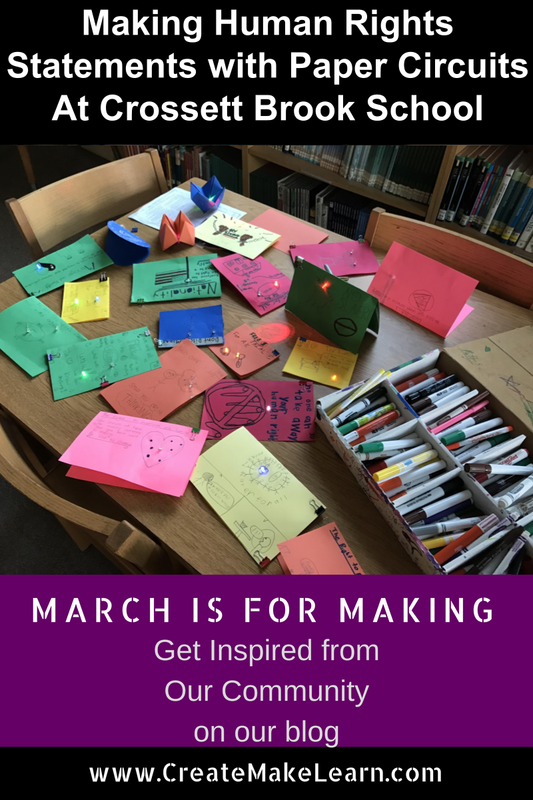 Today’s March is for Making inspiration brings us to The Crossett Brook Makerspace-- an amazing space that was thoughtfully designed around the following tenets! 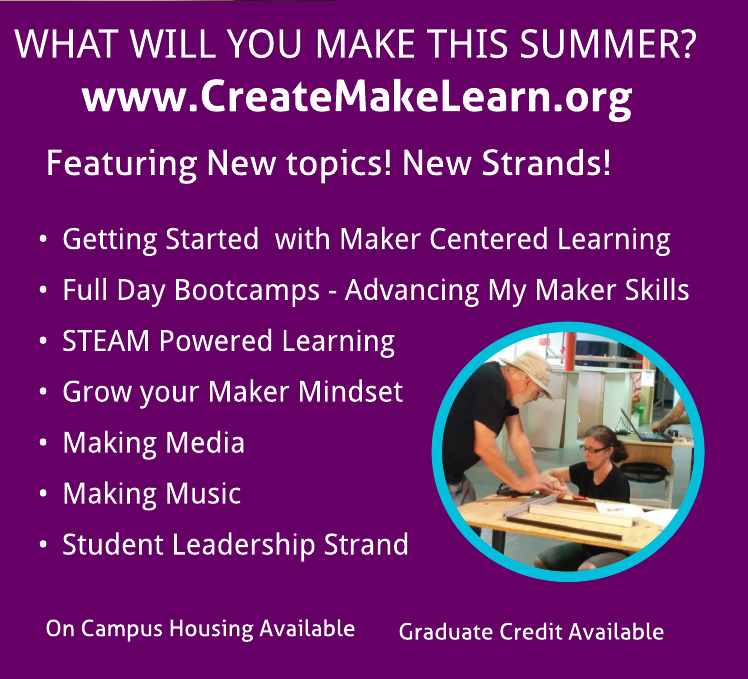 I recently had the opportunity to work Crossett Brook Maker/ Educator/ Librarian Jennifer Hill, Tech Coordinator Lynn Pollock and Tarrant Coordinator Life LeGeros to design a maker centered activity that would introduce the teachers and students at Crossett Brook school to ways that their makerspace could be integrated into curricular and project based learning. 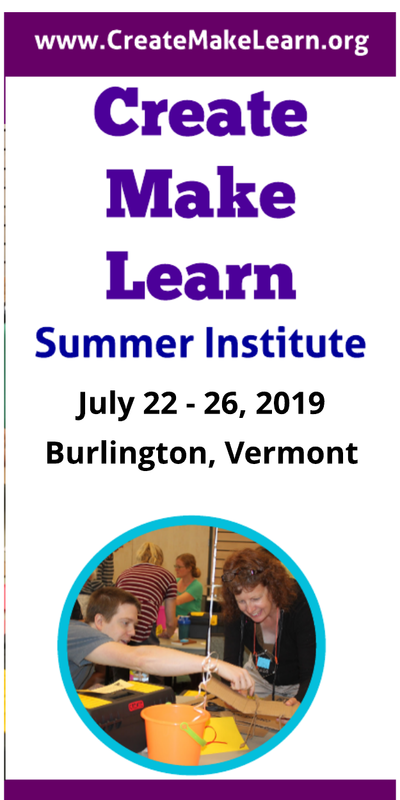 Our challenge was to create an experience that would help teachers consider the makerspace as an option for instructional design around the curricular topics they are responsible for. After some preliminary planning with teachers by Life and Jennifer, we came up with the idea of using Paper Circuits to introduce new materials and skills to students in connection with their current topic of study - Human Rights! 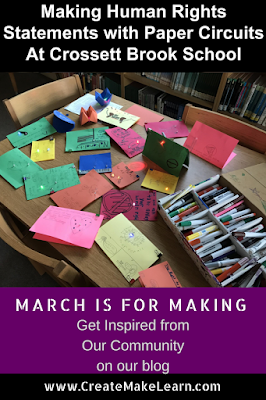 The students arrived in the makerspace prepared to make a statement about one of the human rights they studies in the form of an illuminated card/poster. Due to some thoughtful planning pre-teaching by teachers, and preparation of materials, we were successful in introducing paper circuits to over 100 students who used their new skill to express their understanding of human rights! Check out some of the creative ways students found to MAKE a statement around Human Rights!